Loew's sales chief William Rodgers dawdled months on whether to jack Green Dolphin Street beyond normal rate. There was, after all, upwards of four million negative cost to get back. He'd bow finally to exhib pressure: Our customers know best the proper admission prices to charge for a picture of this calibre. Allied Theatres chairman Abram F. Myers of that most formidable circuit applauded Rodgers while reminding him who his bosses really were: Mr. Rodgers took a long step in the right direction, far beyond any of his competitors, when he uttered the simple truism that "the exhibitor knows best." Loew's would instead seek extended playing time for Green Dolphin Street on "top participation basis," which meant higher percentage to the distributor for whatever tickets were sold. Here was MGM's harsher reality, spelled out in trades: Their pictures simply weren't as good as they'd once been. Best Picture trophies from the Academy, frequent throughout the thirties, stopped with Mrs. Miniver in 1942. Tall grosses being well and good, this still was a company accustomed to prestige placement, critically as well as commercially. 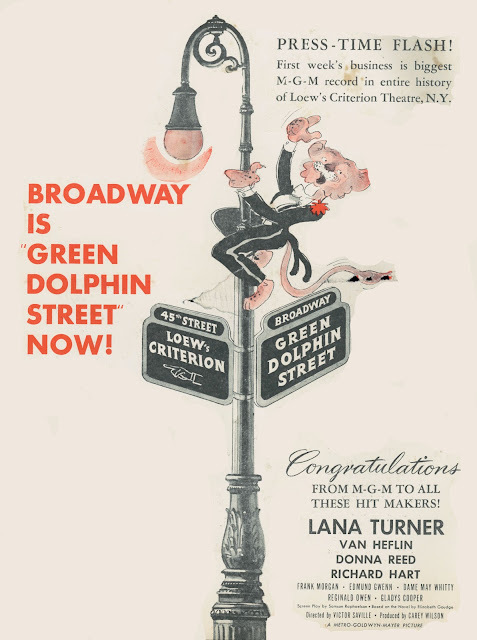 Green Dolphin Street opened mid-October at Loew's (Broadway) Criterion. Times critic Bosley Crowther began his review with "It does seem a bit pathetic ...", proceeding downhill from there. 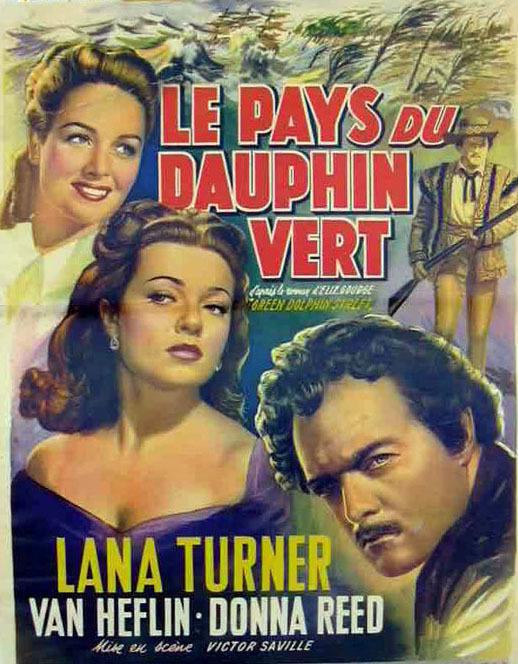 Dolphin's star took a drubbing thus: Lana Turner ... changes her costumes much more frequently than the expression on her immature face. 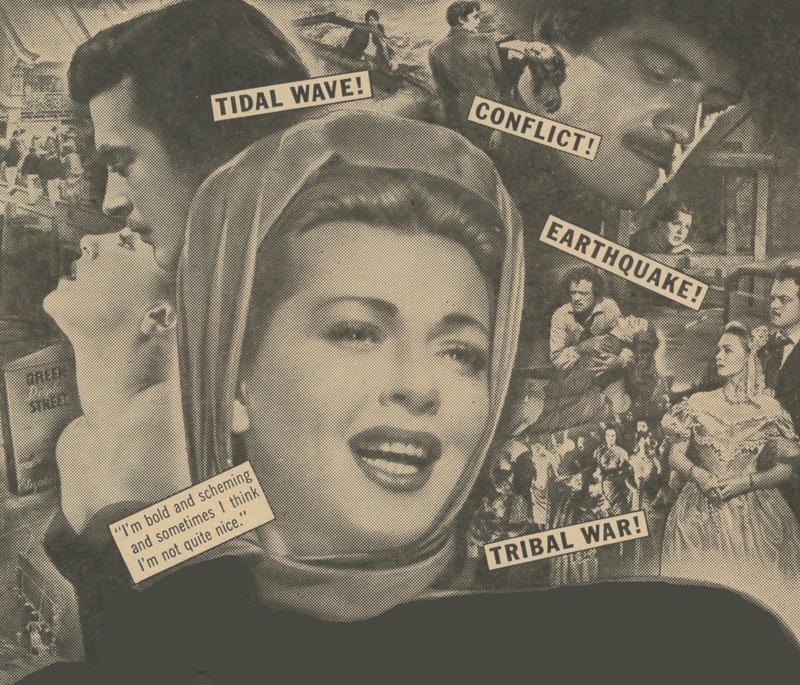 LT's richest vein of Dolphin publicity, speaking of immaturity, arose from a run-out powder to Mexico location where flame Tyrone Power was shooting Captain From Castile. Attendant gossip interest, and MGM's discipline of Lana for AWOL'ing GDS, got the in-progress pic much appreciated focus during months-long run-up to opening. The company's hoped-for comet among leading men, launched opposite Turner, was one Richard Hart, ridden out on critic rails for an accused weak impersonation of Laurence Olivier (it's a crime, said Crowther).Variety's coverage, often generous so as to keep everyone eating, found Dolphin's story "curiously unreal." All this was bitter aftertaste to record receipts the Criterion reported. Attitudes toward Leo had shifted since declaration of peace. This lion's kingdom was less jungle than fairyland. 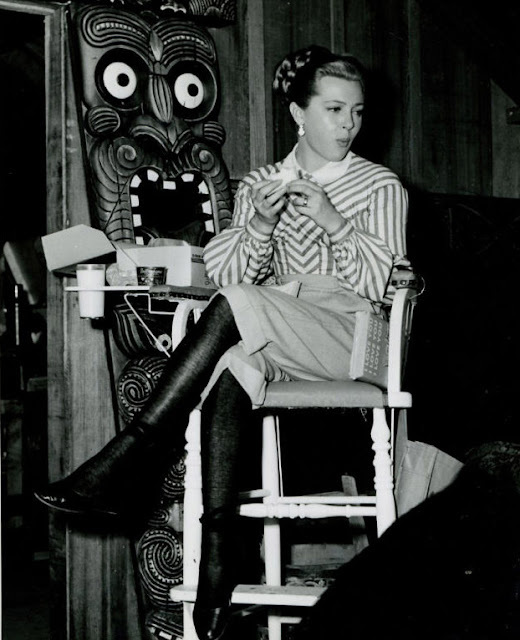 Too many shows out of Culver took barbs like Crowther's, MGM assuming a mantle of class clown rather than industry leader. A Gotham meet of Loew's/MGM execs from both coasts was set for October 22 to figure out what had caused Metro product to slip so far. Louis B. Mayer was there (after stopover in Washington to testify before the Un-American Activities Committee). So too was studio manager Eddie Mannix, along with other coast brass. They perused still wet ink of "uniformly bad press" Green Dolphin Street received. 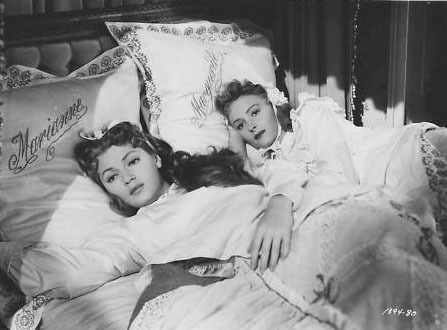 Worse was critic pin cushions that were also commercial flops --- Song Of Love among these, as was Desire Me, so misfired as to go out minus a director credit. In this era of lengthy Broadway runs, neither Song Of The Thin Man nor Romance Of Rosy Ridge could pass three weeks at Loew's flagship Capital Theatre. Deepening the crisis was loss of oversea revenues due to blockage in Britain plus other tariff/duties, an especial blow to product like Green Dolphin Street, which narrative sprawled the globe and would excite foreign interest. Confab concerns over studio labor troubles and ultra-high production costs just put Metro in thicker soup, too many anchors among 1947-48's slate to instill much optimism. 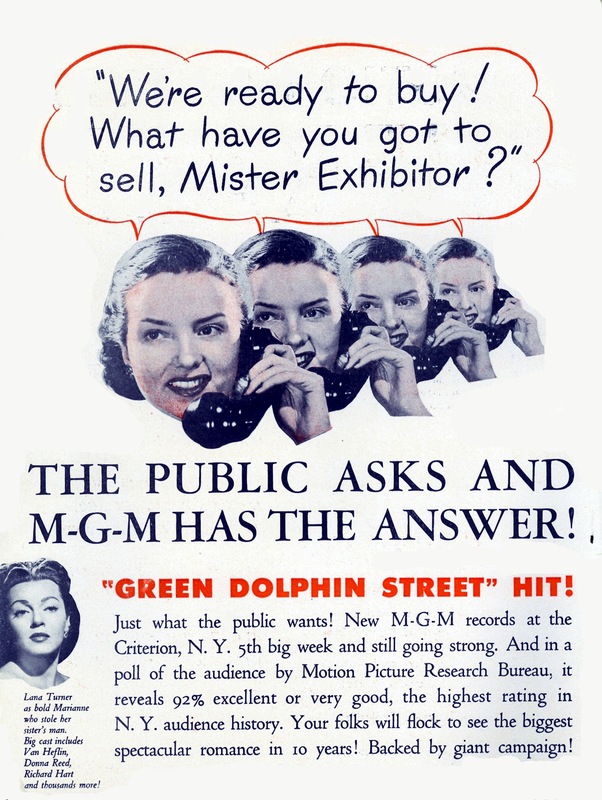 New York was for trimming Green Dolphin Street before Thanksgiving's general release. If ... fifteen or twenty minutes were cut, said William Rodgers (from the present 139 minutes), it would be possible for most exhibs to get at least one more showing of the feature every day. Gross should thus be boosted by that single extra show. 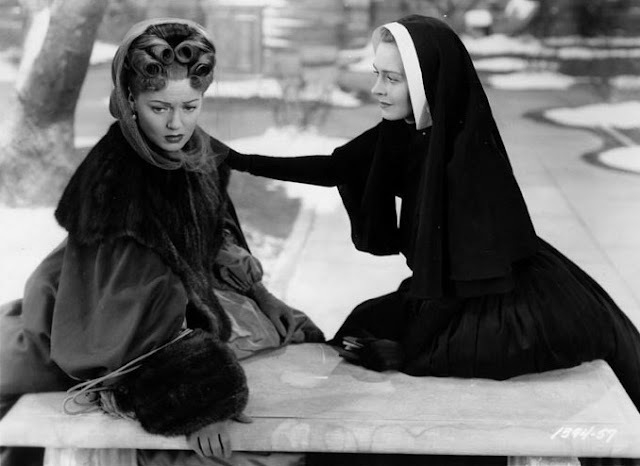 Variety later reported six minutes shed --- not much of a cut, said the trade, but something (Warner's Archive DVD clocks at 141 minutes --- longer even than what early reviewers and Criterion's premiere audience saw). Dolphin's holiday widening was to thirty-nine key cities. Thanksgiving weekend put it Number One on Variety's Boxoffice Survey and well ahead of Where There's Life, The Secret Life Of Walter Mitty, Body and Soul, and Unconquered, these comprising the Top Five. Also touring to key Dolphin dates was Metro's art department construct of a sailing vessel built to thirty-five foot scale for the film, reflecting well the model and period recreations this studio so excelled in. So what did it cost for smallest Bijous to play a four-million dollar special, and how much return could they expect? I went to 1948 account books from a Smoky Mountains based theatre that could easily have hosted that 1968 Wings premiere Pixley wound up getting. The Henn seated 250. 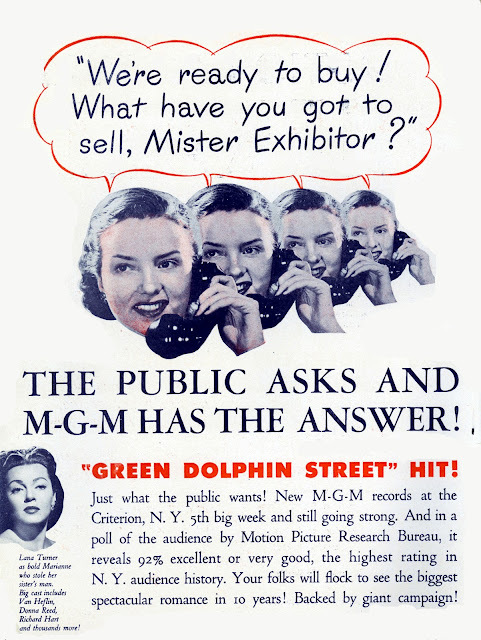 They weren't slow as Pixley getting product, but still it was May 31, 1948 before Green Dolphin Street came to town, a more-than seven months wait past the Criterion's Broadway bow. Dolphin and the Henn spent two days together. Rental was flat at $51.50. There was also a Warners newsreel to set the house back $5.00. As the movie was long, they didn't use a cartoon or sport reel. Tickets were twelve, thirty, and forty cents, depending on patron age. $111.20 was collected the first day (Monday), $122.74 the second. That's $233.94 total against $56.50 the Henn spent to fill the bill. Staff overhead and operating expense figured in, of course. Other Henn shows that week were Always Together from Warners, Violence via Monogram, If Winter Comes at a lesser Metro rate of $26.50, and finally the Saturday show, every week's biggest money-maker for this house, featuring Charles Starrett in Law Of The Canyon ($20 flat), The Crime Doctor's Gamble ($17.50), and a Brick Bradford serial chapter ($5.00). That show yielded $311.58, in one day, as opposed to Green Dolphin Street's $233.94 for two. The Henn's booking was typical of rural routes all releases eventually traveled. Was it worth mighty Metro's time and bookkeeping to chase $51.50 rabbits across North Carolina hills? (and drive a print from their Charlotte exchange). Bill Rodgers spoke to that by ending sales staff travel to venues paying minimal rentals. It just doesn't pay, he pointed out. From now on, MGM policy looked to less business across desks and more by telephone. Days of personalized wheeling/dealing between distribution and exhibition was headed for the barn. Find myself intrigued by the Henn's matinee. Always thought the classic Saturday lineup was a serial, multiple cartoons, maybe a comedy short and one or two action-driven features. Somehow, comparatively stodgy "grownup" detectives don't sound like they'd play well to a mob of candy-fueled children. I'm a huge fan of Sherlock, Chan, the Falcon and the rest, but were they really matinee regulars or was the Henn just using Crime Doctor to clear the house? Donald, I got the impression from account ledgers that the Henn used a lot of Columbia product for their Saturday shows, as playdates often featured Crime Doctor, Boston Blackie, The Lone Wolf, etc. Small-town exhibitors used a lot of "budget" product because their audiences preferred the simpler varieties of comedy and action to the bigger studios' epic dramas. John makes the excellent point that these houses were paying low, flat rentals to make ends meet. Quoting a Colorado exhibitor of the mid-1950s, battling against television with a Judy Canova comedy: "The glee that this stirred up amongst more folks that we’ve been seeing on most Friday-Saturdays was reminiscent of the golden days when we could buy 40 or 50 little sleepers a year from Monogram or Columbia for $7.50 or $10 a throw and make enough to keep the wolf away. Five years ago, I’d never have thought of doubling a Canova as good as this one, nor a good Roy Rogers, but time marches on, and here I am putting them both on the same bill." I too, am fascinated with back records of movie theatres of the 30s, 40s and 50s. When I bought the 200 seat REX Theatre in Morenci, Michigan back in 1990 I found a treasure trove of letters on colorful film company letterhead as well as booking and every other kind of contract and receipt from the years 1933 to 1938. Those were the days of flat feature rentals of $10, shorts for $2.50, and in the early 30s having a $2.50 fee added on to the contract for the "score" even though the movie was a talkie, having to share or trade prints with other nearby small towns, getting your bookings changed by the distributor days after your advertising went out, etc. Fascinating stuff! For those of you who have not gotten hooked on very old back issues of BOXOFFICE and EXHIBITOR--check them out--issues from the 30s, 40s and 50s describe a time in the independent theatre business long just a memory of old-timers! Is the Henn still operating? To your question, Evan --- YES, the Henn still thrives. Sounds like you made a real find in that theatre. It's always great to come across such material, as exhib file cabinets are, for me, where the most interesting film history resides. Dan Mercer digs deeper into the Henn Theatre's booking of "Green Dolphin Street" and how those figures translate to present-day terms. Great stuff here ... Thanks, Dan! The Henn Theater? It must have been the down home answer to Samuel L. “Roxy” Rothafel’s Roxy Theatre in New York. The cost of its Green Dolphin Street program intrigued me, however. $56.50 for the feature and a newsreel seemed terribly cheap, even for 1947, so I tried to compare it to today’s prices. Using the Consumer Price Index, that $56.50 is the equivalent of $574.29 today, or about 10 times more. It still doesn’t seem all that expensive for a two-day run. During those two days, the theater sold $233.94 in tickets, or the equivalent of $2,377.85. It seems a decent margin, but costs would have inevitably pared that away. There would have been the salaries for the manager, ticket taker, projectionist, candy counter attendant, and usher, though for a small theater like the Henn, some the staff were probably wearing more than one hat. There would also have been the supplies to pay for—tickets, programs or handbills, popcorn and candy, cleaners, buckets, and mops—electricity and heating, light bulbs and projector lamps, depreciation of equipment and the building, property and liability insurance, and debt service, if there were any notes secured by the theater. P. J. Henn, if he was still running his namesake theater in 1947, no doubt sat at his desk in the evening, balancing his costs and expenses against his ticket and concession sales. Paying a third more to rent a film like Green Dolphin Street and having a return of a third less, compared to other programs, probably didn’t seem like a winning hand to him. Those ticket prices of 12, 30, and 40 cents would have been the equivalent of $1.22, $3.05, and $4.07 today, still a bargain compared to the prices at the multiplex, especially since we never get a newsreel or any short subjects. If you consider that the 12 cent seats were probably negligible, the mean price for a ticket at the Henn would have been 33 cents. That meant that over 700 patrons attended the shows over those two days. If Mr. Henn managed to cram in four shows a day, his average attendance per show would have been around 88, which must have been somewhat disappointing for a 250 seat theater, though the evening shows would have been fairly well attended. Still, the Consumer Price Index offers only an approximation of what the dollar is valued at today, compared to its value then. The price of gold in 1947 was officially set at $35.00 an ounce. Today an ounce of gold is going for $1,714.50 on the open market, or about 49 times more. A lot of that difference has to do with speculation, and a lot of that speculation has to do with fear. Dollars today have no intrinsic value, but rest on the “full faith and credit” of the United States government. For some, paying $1,700 for an ounce for gold doesn’t seem such a bad hedge against hard times. It suggests, however, that the purchasing power of a 1947 dollar was even stronger than the Consumer Price Index would indicate. The Roxy Theatre is of course no more, torn down to make way for an office building, but not before Gloria Swanson memorably posed in its ruins for a LIFE magazine spread. 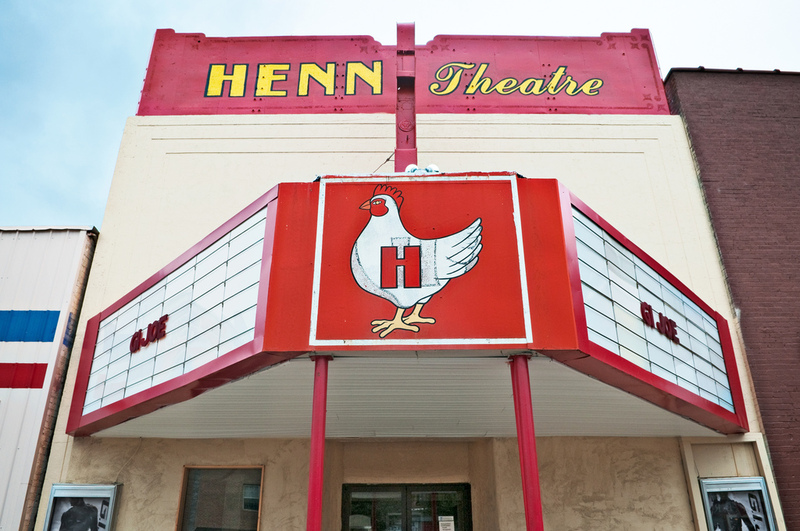 The Henn, I understand, is still a popular first-run theater in Murphy, North Carolina. 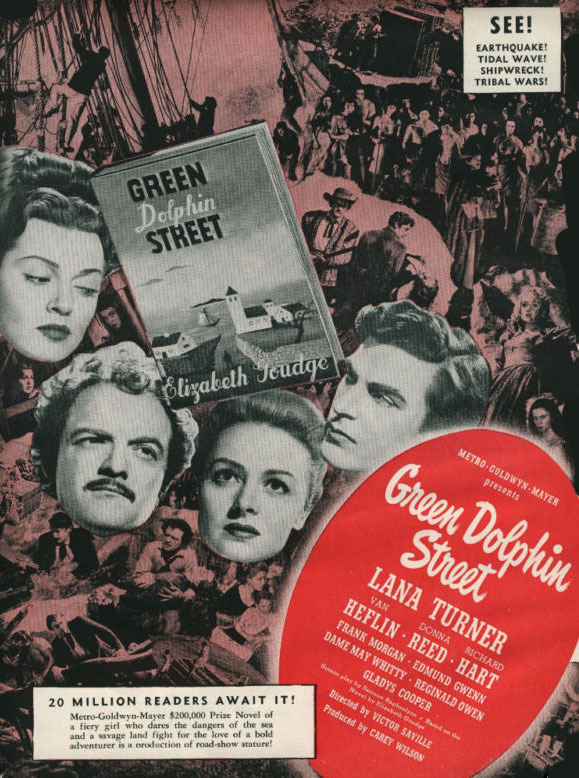 I think it's interesting that we've had a two-parter all about the production and distribution of Green Dolphin Street, but we don't have a clue what the movie is about. It's sort of fun to make up your own story from the stills and posters. It seems to be a period piece - costumes and hairdos look vaguely 1860s - that involves some sort of Far East or South Seas adventure. I don't even want to go to IMDB because the reality probably fails to live up to my lurid imagination. 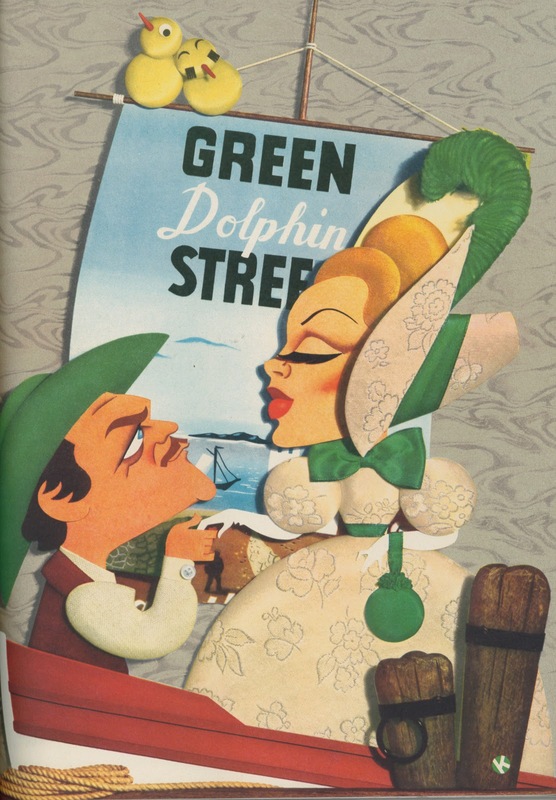 I happened to catch "Green Dolphin Street" on vhs some time ago and was a bit surprised that I'd never heard of it before, considering the high profile given it when it was released. Reading a bit about the production first, then seeing it, I thought it was a decent, but not exceptional big-budget soapy drama. The thing that seemed to make it seem smaller than MGM intended is the lack of color. Perhaps John didn't mention what it's about because it's so generic and unmemorable. I know a few days after seeing it, I couldn't exactly recall what it was about or any memorable scenes. It just left me with vague impressions of nice costumes, lots of sets, and much emoting about nothing in particular. "green dolphin street" sailed triumphantly across the globe and was a huge public favourite all over the world. 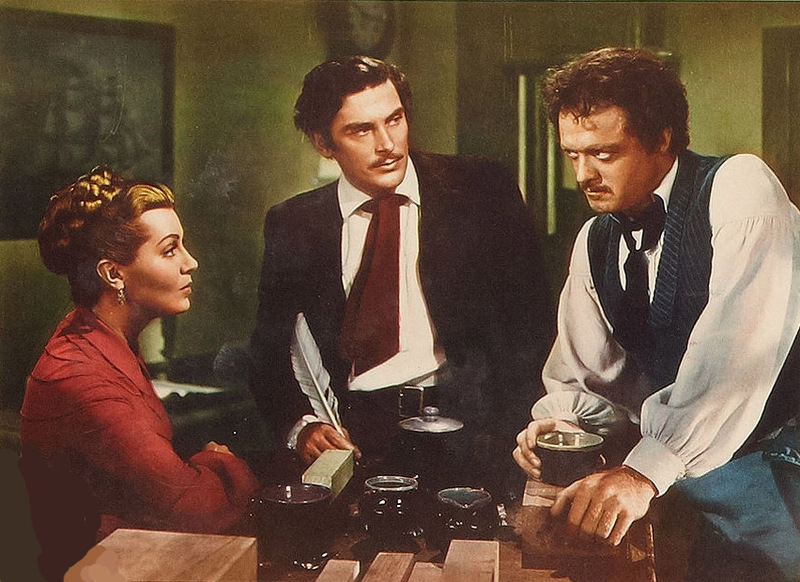 new zealanders , for years, regarded it as thier GWTW. huge in australia. its setting made it a bonanza in the new postwar world. in ireland, people spoke about it for years after they had seen it. 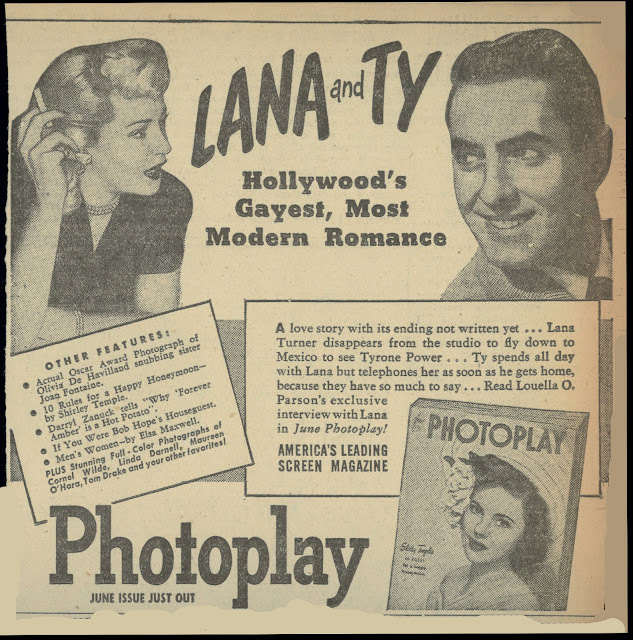 lana turner was front page news in 1947. it was MGMs second highest grossing flick of the 40's. 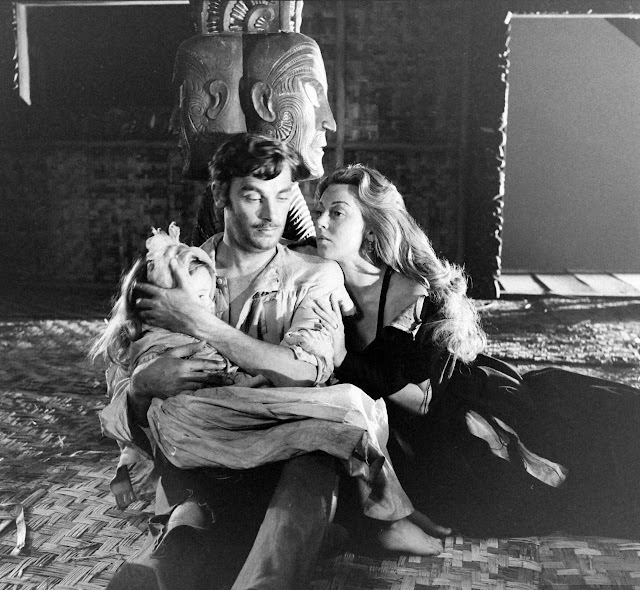 now its completely forgotten, a faded nostalgia piece indigestible in one sitting. hardly worth reviving. this makes it special to me, and i like your review!